Sunstone is a gem variety of Oligoclase (Feldspar Family) that has schiller (flash) similar to Labradorite. Sunstone is an orange to brown stone containing small hematite crystals that give it an additional sparkle and fire. Metaphysically, Sunstone is known for its powerful connection to the light and power of the sun. Sunstone brings light to all situations, and carrying a piece around with you can help your personal power to “shine”. Once known as a stone of good luck, Sunstone has a bright, joyful energy that increases vitality and lightens dark moods. Sunstone helps empower those who feel persecuted or abandoned by others, instilling confidence and optimism and encouraging motivation and positive action. Sunstone is also useful in removing energy draining ties or “hooks” into your energy by other people. 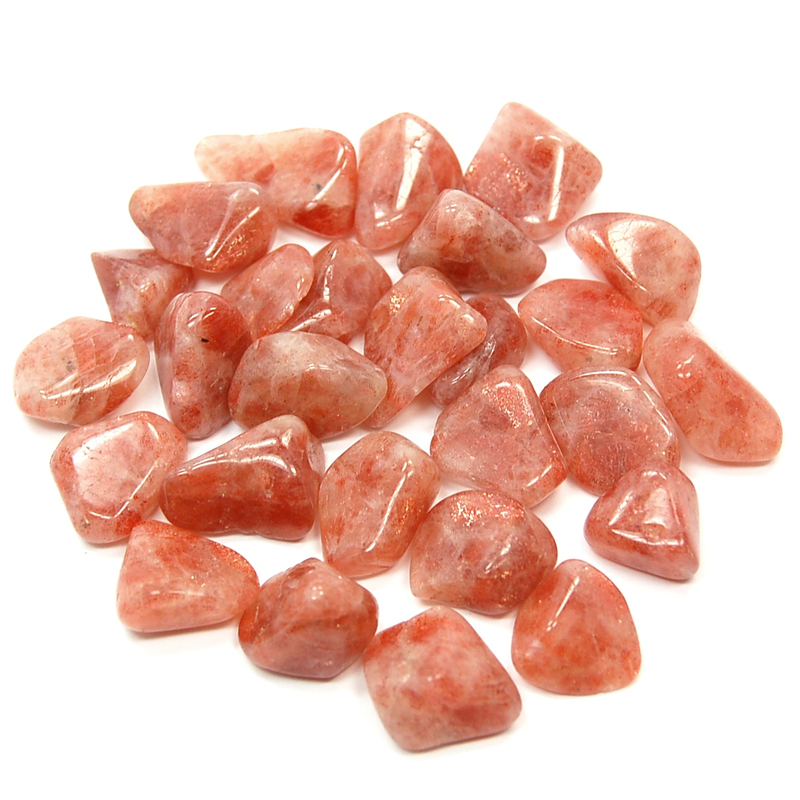 Sunstone is a great stone for the Base, Sacral and Solar Plexus Chakras, but can clear and energize all Chakras. Sunstone was used by the Canadian Indians in medicine wheel rituals, by the ancient Greeks to represent the Sun Gods, and in ancient India for protection from dark forces from other realms. Physically, Sunstone can aid in Depression and SAD (Seasonal Affective Disorder) as well as assisting with aches, pains, chronic sore throat, and sexual issues. Click here to see Sunstone in our online catalog.